Final year MA Fine Art student, Elizabeth Monahan, has won this year’s Bishop’s Art Prize. 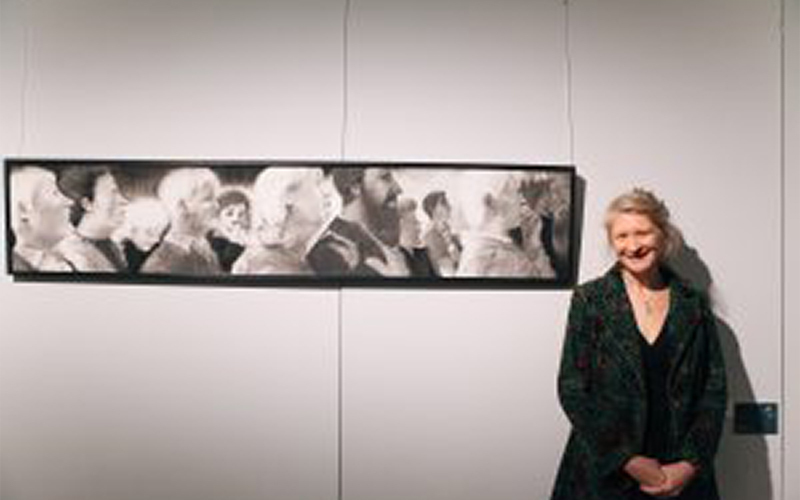 Elizabeth was awarded the prize for her charcoal drawing entitled ‘When music sounds, gone is the world I know’ which is inspired by a congregation listening to an organ recital at Norwich Cathedral. Steph Kedik, also studying MA Fine Art, was Highly Commended for her piece entitled A Point of Coordination. The Bishop’s Art Prize is an annual competition open to final year students at NUA who are studying for either an undergraduate or postgraduate degree. Students are invited to create works in response to a brief set by the Bishop of Norwich that explore, but are not limited to, Christian themes. This year’s theme was Glimpses of Glory.